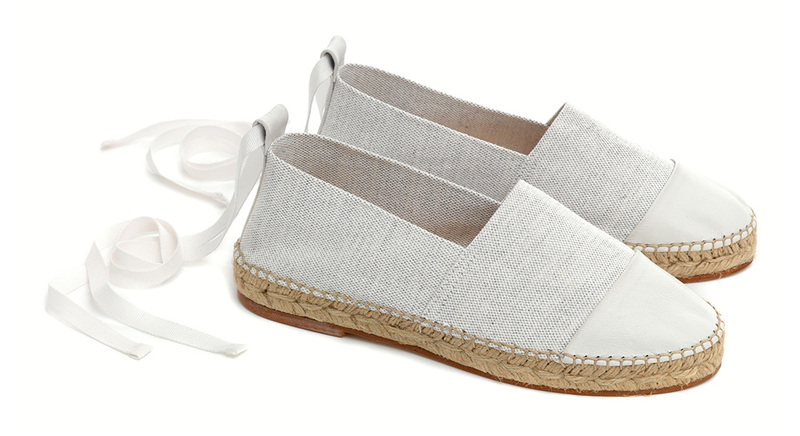 The white canvas espadrilles are the perfect addition to your summer essentials. 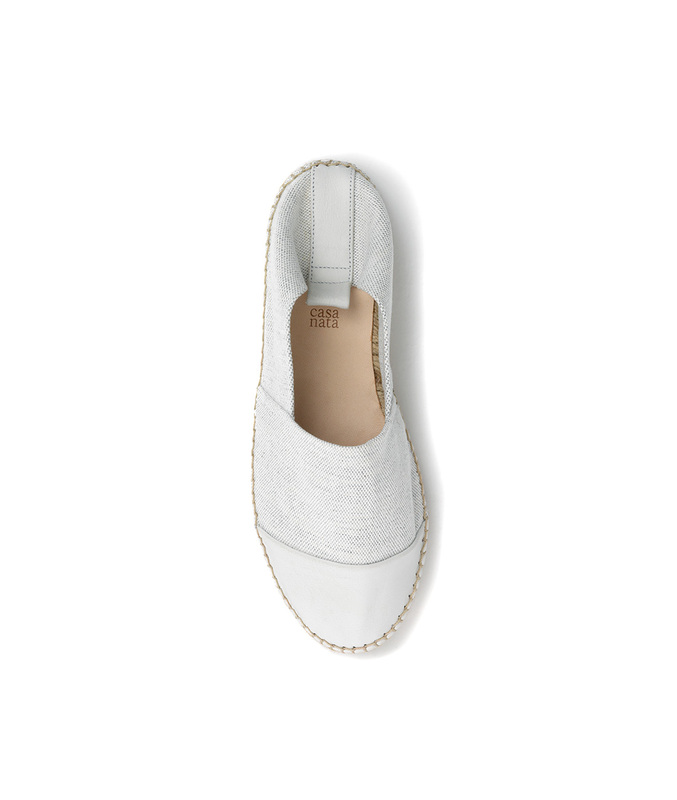 They are trimmed with white leather and set on a natural, flat jute sole. 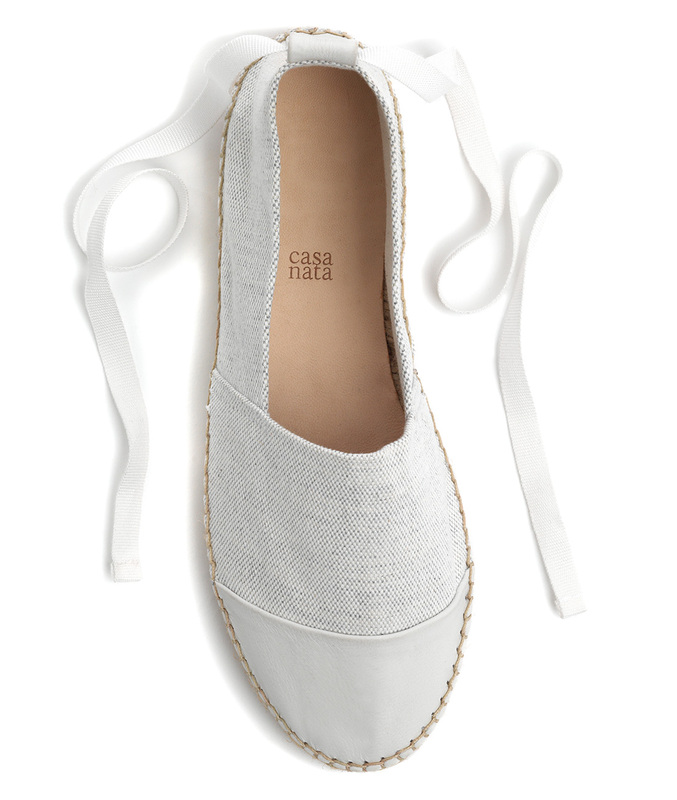 The soft cotton straps are pulled through a leather loop and can easily be wrapped around the ankle. Slip into the shoes with the heel cap down and wear them casually like slippers at the pool or beach.